Free Ground Shipping. Usually departs warehouse in 4 business days. Ships from Idaho. This is a 4-piece roll in shower. The model has a 3/4″ threshold with a Center drain and a built-in soap dishes. These are the finest retrofit accessible shower available on the market today. and much more. Call us at 800-413-3302 to learn more. Industry-leading quality and the warranty to prove it. 30 Year Warranty. Best Bath products are covered by world-class warranty programs designed to protect our customers. These warranty programs represent the faith we have in our products and the people behind them. 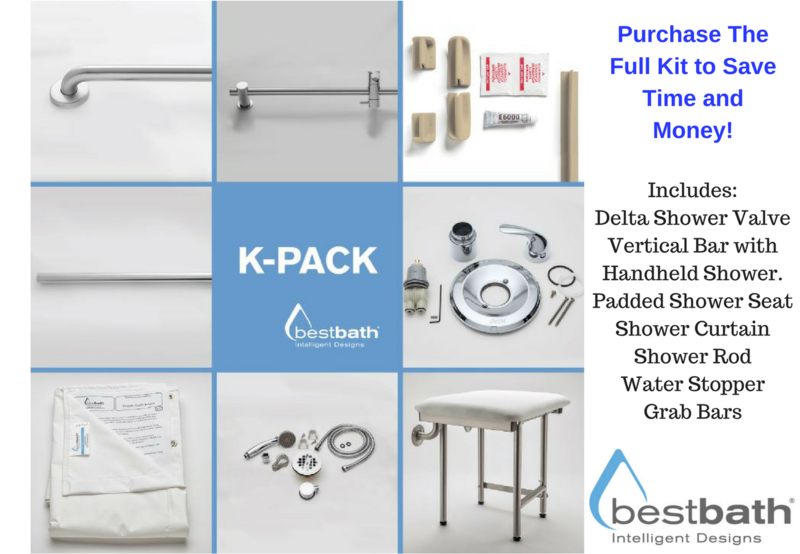 Bestbath, Inc. warrants that Bestbath’s fiberglass reinforced showers, walls and pans (“Bathing Unit”) will be free from manufacturing defects for 30 years from the date of installation of the Bathing Unit and that Bathing Units will be delivered free of freight damage. This limited warranty is made to the original owner of the facility in which the Bathing Unit is installed, and there are no intended or incidental third party beneficiaries of this limited warranty.